In the cold, snowy and long Minnesota winter of 2014, Emily and Doug Wright of the Twin Cities Ukulele Players (T-CUP) came up with a very warm idea. They conceived and started planning a ukulele event that would bring uke players together for fun and learning. The idea took wings! 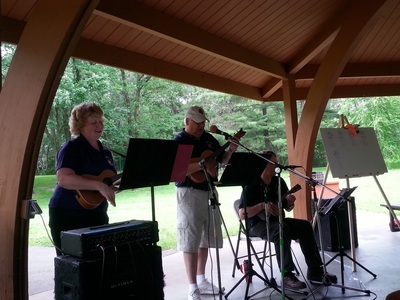 Before long, the event was named the Great Minnesota Uke Gathering (GMUG), and sponsorship extended well beyond Emily, Doug and T-CUP. 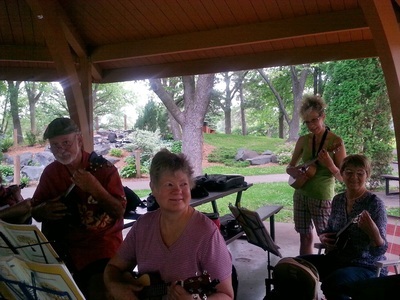 Four active Minnesota ukulele groups participated both in the event planning and conducting the event itself. 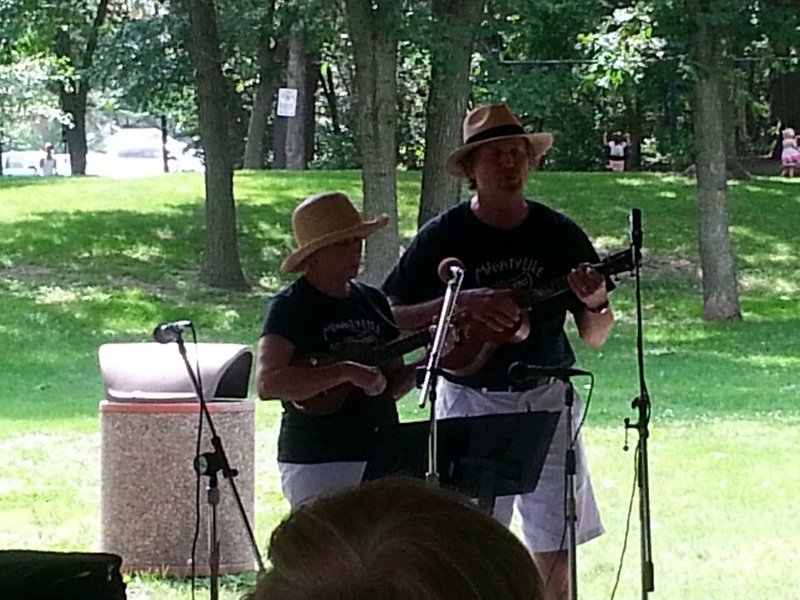 ﻿Who a﻿n﻿d ﻿W﻿hat - The 2014 GMUG was a "Get Togeth﻿er" for all ukulele players (or want-to-be players) - ﻿Workshops, Jams, Sing-Along and Food - All skill levels﻿ - It took place at Kordiak County Park in Columbia Heights, Minnesota. 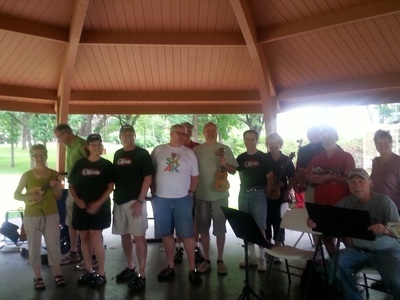 Plus, there were lots of free uke related giveaways, including a Mainland tenor ukulele. A big t﻿hanks t﻿o Mainland (http://www.mainlandukuleles.com) and others for the free giveaways! The ﻿﻿Wea﻿﻿ther - Severe Thunderstorm Warning! Rain it did, and the second half of the GMUG day was rained out. Minnesota Public Radio reported the following. "Torrential rain late this afternoon and early this evening has caused flooding in parts of the Twin Cities metro area. A flood warning is in effect for parts of the metro until 1130 pm." Fun﻿ Day ﻿Photos - We cut our day short, but still had a great time. Now, we are looking forward to the 2015 Great Minnesota Uke Gathering!